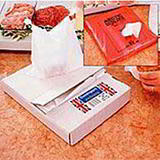 Great value packaging solutions for those selling all kinds of fresh food. 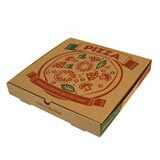 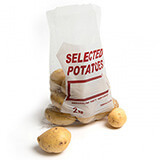 From meat, fish and cheese to fruit, vegetables and takeaway snacks, most of these food packaging items are kept in stock at all times, so you can order them when you need them and get them delivered super quick! 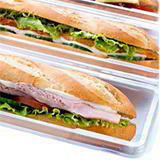 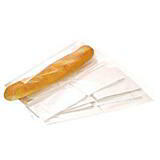 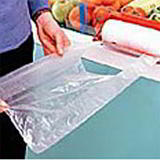 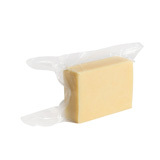 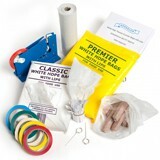 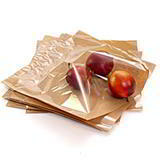 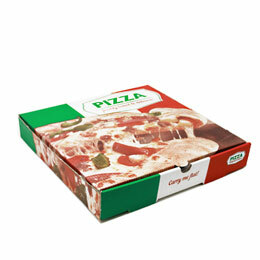 And don’t forget that all our clear polythene bags are also food grade and therefore ideal for packaging food. 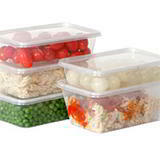 Davpack’s range of food packaging and plastic food containers with lids is the ideal choice for any store or supermarkets selling fresh sandwiches, groceries and other produce, as well as delicatessen, fish, meat and cheese counters. 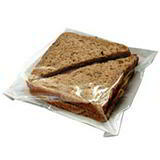 From sandwich packaging that will present your products in the most appetising light to plastic takeaway containers or ready meal packaging suitable for any supplier of prepared food, our plastic food containers cover every angle. 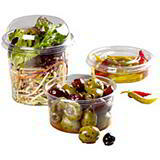 Our baguette packaging comes in three sizes, while our plastic salad containers, also ideal for delicatessen items such as olives and pasta, come in too many shapes and sizes to adequately describe here!